Most sellers expect their real estate agent to hold at least one open house while their house is on the market. But are open houses really necessary? Do open houses really sell homes? Let’s look at the pros and cons of open houses so you can decide for yourself if an open house should be part of your marketing plan. Holding an open house provides exposure for your listing. Your real estate agent will advertise the open house on real estate websites, on social media, in industry networks, and perhaps even in print. This advertisement gets more eyes on your listing. And the more people who see your listing, the more likely you are to find the right buyer. Open houses also provide a low-pressure environment for buyers. Buyers can feel comfortable coming in to view the home without a buyer’s agent watching them for signs of interest. Of course your listing agent will keep an eye on the potential buyers coming through and will provide plenty of information so those buyers get to see all the highlights. Your agent will also make sure potential buyers know how to take action if they’re interested in making an offer. The downside of the exposure and the low-pressure environment is that open houses attract looky-loos. Interestingly, most open house attendees have no intention of purchasing the house. They’re often just curious neighbors and real estate hobbyists. Serious buyers who are actively looking to find the right house are more likely to make an appointment for a private viewing with their agent. So, while holding an open house will increase your exposure, it won’t necessarily increase your chances of selling the house. The biggest downside to open houses is security concerns. It’s not exactly common for personal items to go missing during an open house, but there is some concern about extending an open invitation for strangers to stroll through your house. And your listing agent might not be able to keep eyes on all visitors at all times. Especially if he or she is busy discussing the house in detail with a potential buyer. Holding an open house is a personal choice. If you feel the pros outweigh the cons, have your agent go for it! But understand that open houses aren’t required. Your agent can successfully sell your house without one. 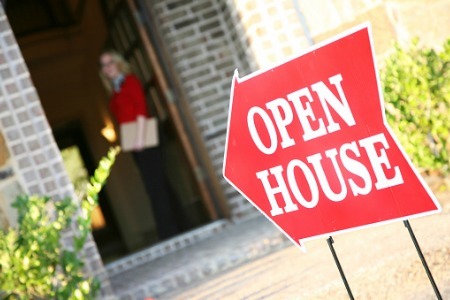 Talk to your real estate agent if you’re unsure about whether an open house is right for you. If you don’t already have an agent, you can contact your local Realty Executives International office to speak to a highly-qualified agent about the success rates of open houses in your local market. You can also discuss security concerns. Ask the agent if they are aware of any security issues around local open houses. Getting all the facts on open houses in your specific market will help you make the best possible decision on whether or not an open house should be included in the marketing plan for your property. This post is intended for informational purposes only and should not be taken as professional advice. This post was written by Michelle Clardie. Michelle is a professional real estate blogger, specializing in ghostwriting Realtor® blogs. Her engaging content helps real estate agents become more visible online, generate more qualified leads, and increase their revenues. You can learn more at www.michelleclardie.com. Subscribers automatically receive emails with our latest blog posts. The Realty Executives brand has stood for integrity and quality for nearly 50 years, and we'll settle for nothing less than the best. The tides are changing for the better in many U.S. markets and throughout the world and Realty Executives agents have always been on the cutting-edge for providing high quality service and support to their clients. So, browse around - whether you're looking for a starter home, a move-up home or an investment property, our professional agents and offices are ready to meet your needs and help you accomplish your home ownership goals.